Worship is at the heart of our life together at Westminster. We worship with a sense of reverence and joy, singing songs of praise, acknowledging our need for forgiveness, joining in the prayers of the people, listening to the preaching of God’s Word and responding with our offerings and our lives. 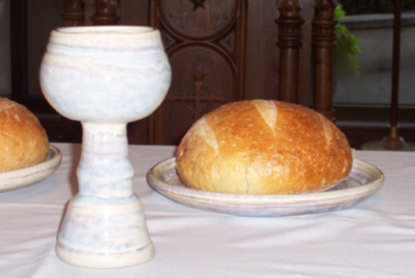 The Sacrament of Communion is celebrated weekly at our Saturday evening worship service and monthly at our Sunday worship services. The Sacrament of Baptism is celebrated when infant children are presented by their parents and new members are received by Affirmation of Faith. See schedule. Westminster joins Christians around the world in special services of worship. We anticipate and celebrate the birth of Christ during Advent and Christmas. We commemorate Christ’s journey to the cross during Lent and his death and resurrection during Holy Week. One of Westminster’s beloved traditions is celebrating St. Andrew’s Sunday and our Presbyterian roots on Christ the King Sunday as we culminate the Christian year.